There has been a really big spring clean of our websites with both the Pipistrel Australian Web site and Pipistrel USA website undergoing major overhauls in the past month. Some of the new features in each website include photo galleries with updated photos and more than 200 new photos never seen before…. there is also a large selection of Taurus photos showing the aircraft in much greater detail than was previously on the website. We have added a dedicated page to extreme flights showing the unique capabilities of Pipistrel aircraft and there is now a full and complete listing of all the manuals for the Pipistrel Sinus, Virus and Taurus aircraft for each market including the kit manuals. At a recent meeting of the ICAO (ATDSG) Aircraft Type Designator Study Group, Pipistrel has received yet another feather in the cap by receiving their own aircraft designator codes. Designator codes are not normally allocated to ultralight and recreational aircraft but are usually reserved for certified aircraft only. The good news however is because Pipistrel aircraft are being flown internationally around the world ICAO have seen fit to allocate codes for the Pipistrel Sinus, Virus and Taurus aircraft . 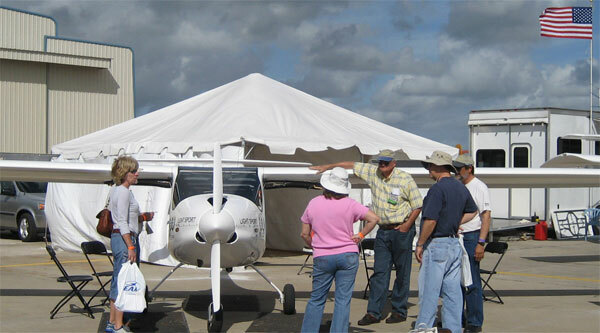 The Sebring sport aviation Expo has come and gone for another year. Attendance at this year’s event was probably 50% to 100% more than last year and the Pipistrel stand was kept busy from start to finish each day. It is always great to get enthusiastic people who have followed the aircraft for many years finally into the seat of the plane and when they comment that ” it fits like a glove” a wide smile comes over their face.